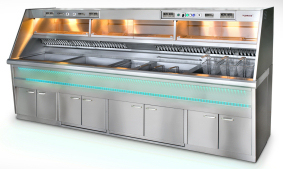 Which model of fryer or frying range are you looking for? 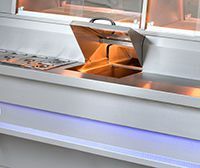 Integrated counter left or righthand side. 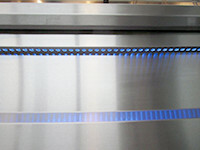 Front backlighted or fitted with stainless steel or Formica panels. 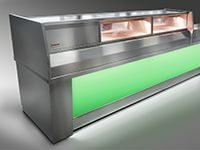 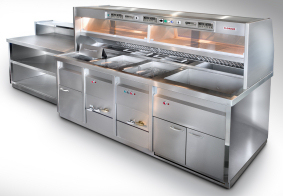 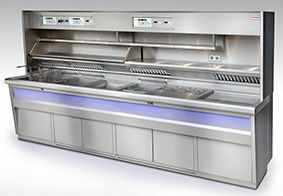 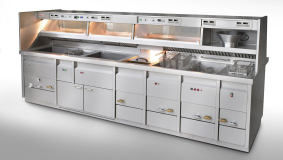 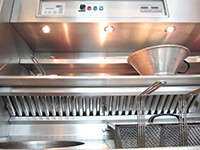 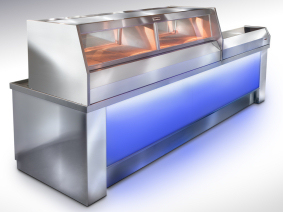 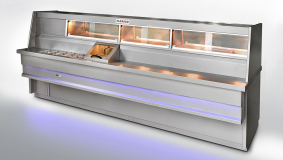 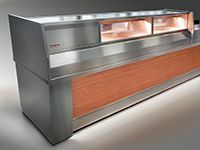 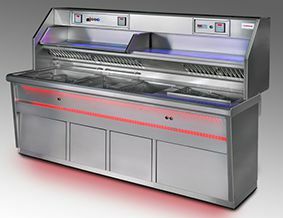 Fish and chips style with integrated hotbox/heated display to hold fish, sausages, pies, chicken etc. 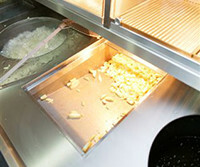 Dutch style with integrated container to display par fried chips/French fries/fresh potatoes. 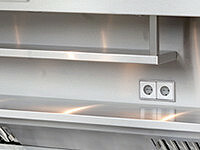 Would the frying pans have to be gas- or electrically heated?